With GAF Slateline® Shingles, you can have all the advantages of a slate roof, but without the massive price tag. The enhanced shadow lines and tapered cuts imitate the depth and texture that separates slate roofs from other types of material and GAF’s proprietary roofing technology guarantees its protection, durability and longevity. 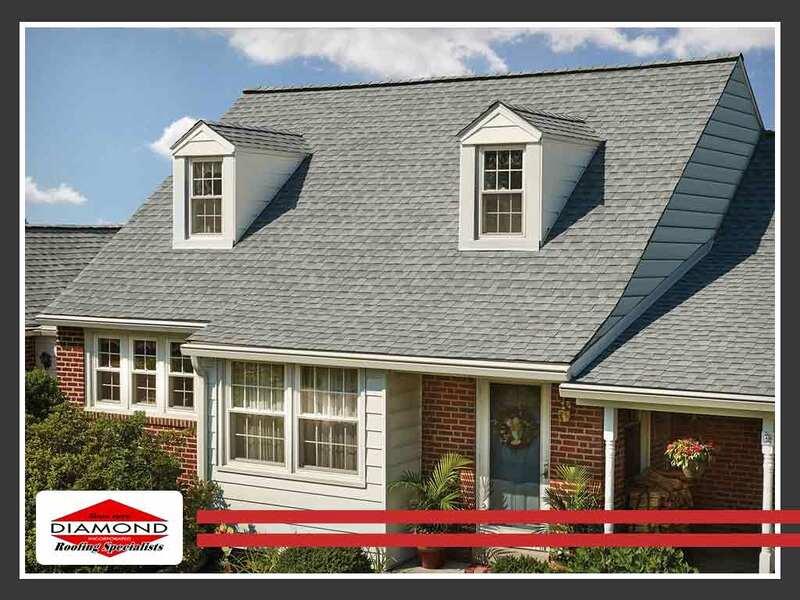 GAF’s patented color blending has produced a wide variety of colors that roofers and homeowners alike adore, including us here at Diamond Roofing Specialist Inc. Regardless of your home’s overall style, you can find a Slateline shingle that will fit your aesthetic. Additionally, Timbertex® Premium Ridge Cap Shingles with StainGuard® protection gives your roof a cleaner and more refined finish with additional protection from blue-green algae growth and discoloration. It’s the perfect combination of fashion and function. Contractors swear by the strength of Dura Grip™ Adhesives that allow Slateline shingles to remain attached on your roof even against 130 mph winds. Advanced Protection® Shingle Technology gives Slateline a fiberglass-reinforced shingle without putting too much strain on the environment. As a GAF Master Elite® roof repair and installation contractor, we are confident about the quality of our products that we offer a Lifetime limited transferable warranty on all our GAF Slateline products. You can enjoy peace of mind with GAF’s very own Smart Choice® Protection for non-prorated material and installation labor, for up to 10 years. Experience the difference of a Master Elite Slateline roofing installation with Diamond Roofing Specialist Inc. Call us today at (203) 303-4006 or use our online form to schedule a free consultation and estimate. We serve the areas in and around New Haven, Bridgeport and Waterbury, CT.